Oneplus latest smartphone Oneplus 6T is going to launch in the month of October. If you want this smartphone before the launching, then you have to take participate in one of the company's contests. OnePlus has launched a program is called The Lab before launching. In this, the company will 'gift' to its new flagship device to some selected people. After this, customers will have to write the review of the smartphone and give it to the company. Camera : 20 megapixels + 12 megapixels + TOF 3D sensor (Triple Camera setup),25-megapixel bump for the front camera. 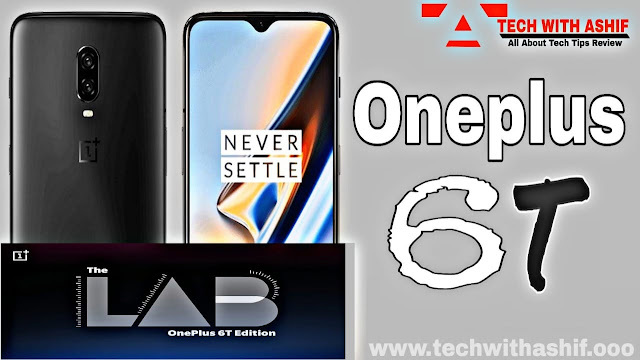 One plus 6T, You have a Great chance to getting oneplus 6T before Launched.Under the program, interested customers will have to register themselves by going to the Forum on OnePlus Community. The company will provide a flagship device to the 10 selected customers. The last date for application is October 8. Out of the total applications, the company will choose 10 customers and send the review unit before the phone launches. Explain that the company had organized its fence every time its company had organized its first lab program, OnePlus 3, in May 2016.OnePlus said, "If you selected in the contest , we will send you the Review Unit of OnePlus 6T." Then you will also join those people who will first get onePlus 6T device. It is worth noting that the company will accept applications in English only. If you are selected, you will need to write unboxing and review on OnePlus Community after getting the phone. The new smartphone gives a pre launch for review. Oneplus has tweeted for his new program. The Lab is looking for applicants! Apply for the chance to review the #OnePlus6T before anyone else. The company had organized its first Lab Program in May 2016 at the launch of OnePlus 3. OnePlus says, If you selected, we will send you the Reviews Unit of One-Plus 6T. Then you will also join those people who will first get onePlus 6T device.It is worth noting that the company will accept applications in English only. If you are selected, you will need to write unboxing and review on OnePlus Community after getting the smartphone.